At Smörgåsjobb I write posts about Capability Development. Just like the Swedish "Smörgåsbord", which is a buffet table full of food that you can pick from, I have a lot of topics to talk about. If you're looking to improve your career options, develop yourself professionally or are in need of improvivng how your company deals with capability and talent, you're at the right address! With Career Development I focus on the tools available to define and establish your career, get the job you want and establish your reputation and credibility. With Professional Development I take it a step further and look at more theoretical topics like psychology, stress resistance, and learning methodologies to improve yourself. 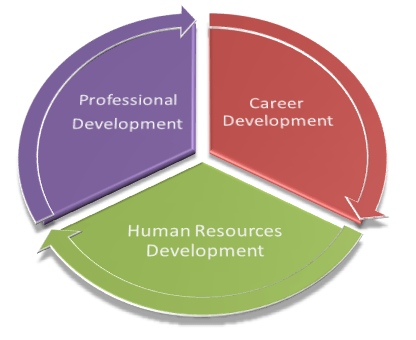 Changing focus from the individual to the business, for Human Resources Development I look at the processes and systems used for recruitment, enablement and development of people in organizations. 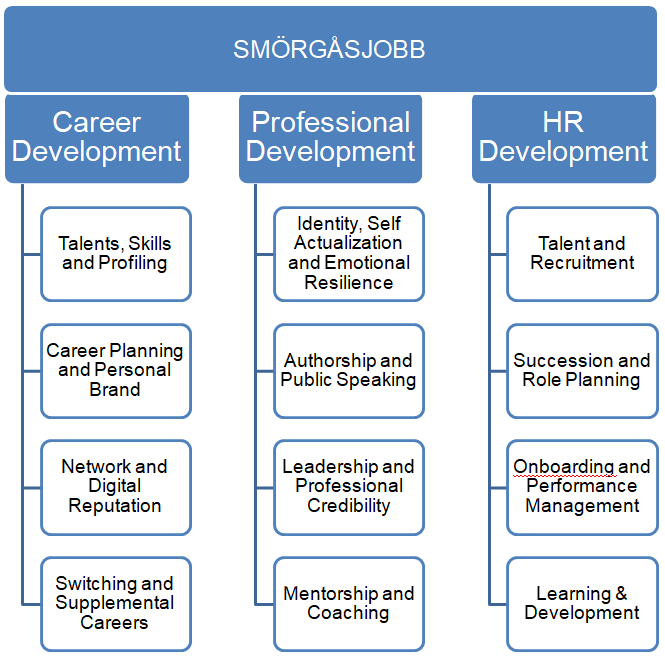 Smörgåsjobb is for you if you want to become more skilled, more professional or more prepared to tackle the challenges of advancing in your career. It's for you if you want to improve your reputation and online profile and be seen as credible and professional. It's for you if you work with (or are part of) Human Resources, and want to know more of the theories and processes that go on behind the scenes. Thank you for reading this far, I hope to see you soon in the comments section! You're awesome like coffee with cookie spices for supporting my blog! You will get access to my Patron-only feed, meaning you get behind-the-scenes insight seven days before anyone else! Your help is really giving Smörgåsjobb that little bit extra to get noticed and take another big step towards being a professional development blog! As Supporter, plus you get to vote on my Content Poll and help determine one of the major topics for next month! As Voter, but you will get access to special compilations, where several related topics come together as small eBooks! You're probably looking for a career in the big leagues, and I can help with that. As Career Knight, except you will also receive tailored career, network and social profile advice distributed throughout the year. You will need to be a patron for at least 2 months before claiming your first snippet! When I reach this many supporters I will already be able to pay for excellent domain and hosting for Smörgåsjobb for the year.